Banned substances in baseball has been an ongoing issue for Major League Baseball. Several players have come forward in recent years to suggest that drug use is rampant in baseball. David Wells stated that "25 to 40 percent of all Major Leaguers are juiced". Jose Canseco stated on 60 Minutes and in his tell-all book Juiced that as many as 80% of players used steroids, and that he credited steroid use for his entire career. Ken Caminiti revealed that he won the 1996 National League MVP award while on steroids. 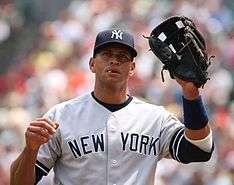 In February 2009, after reports emerged alleging that Alex Rodriguez tested positive for steroids in 2003, a year in which he was American League MVP, he admitted to having used performance-enhancing drugs (PEDs) between 2001 and 2003. Mark McGwire, dogged by allegations of PED use for years, admitted in January 2010 that he had used steroids and human growth hormone off and on for over a decade, including in 1998 when he set the single-season home run record. Steroids finally made it to baseball’s banned substance list in 1991, however testing for major league players did not begin until the 2003 season. 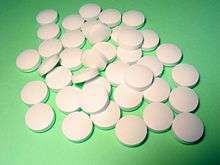 While testing for steroids began, the usage did not stop. From 1991 to 2003 the steroid era ran rampant through the MLB and tarnished many great names and many great records. In 2005, Jose Canseco released a tell-all book, Juiced, about his experience with steroids in his career. In the book, Canseco named several other players, including Mark McGwire, Rafael Palmeiro, Ivan Rodriguez, Juan Gonzalez, Jason Giambi and Alex Rodriguez, as steroid users. The book caused great controversy, and most of these players have claimed Canseco's implications to be false, though McGwire and Giambi have since admitted to using PEDs, and Palmeiro has tested positive. Canseco released another book, Vindicated, about his frustrations in the aftermath of the publishing of Juiced. In it, he discusses his belief that Alex Rodriguez also used steroids. The claim was eventually proven true with Rodriguez's admission in 2009, just after his name was leaked as being on the list of 103 players who tested positive for banned substances in Major League Baseball. As of July 2013, Alex Rodriguez was again under investigation for using banned substances provided by Biogenesis of America. He was ultimately suspended for the entirety of the 2014 season. Mark McGwire admitted to using steroids throughout his professional baseball career. The admission of steroid use caused many cases of questioning of whether or not his long list of accomplishments should be rebutted. His most famous accomplishment undoubtedly took place in the 1998 season when he broke the single season home run record previously held by Roger Maris. It was after this accomplishment that McGwire and a wide array of MLB players came under scrutiny for use of steroids. A news reporter stumbled upon an open container of androstenedione in McGwire's locker in August of the '98 season. At the time androstenedione was not on the banned substance list for Major League Baseball, but was viewed as a precursor to anabolic steroids and was already banned by the International Olympic Committee, the National Football League, and the National Collegiate Athletic Association. In 2005, after the release of Juiced, Mark McGwire was among 11 Major League Baseball players that were publicly addressed concerning their use of steroids. During the accusations McGwire was noted for avoiding direct questions from Congress, instead continually saying "I'm not here to talk about the past." Although he never admitted to steroid use, the public certainly questioned whether or not he was a user because of his unwillingness to answer direct questions. McGwire was never officially identified as a steroid user, however his public image suffered after he failed to respond to these accusations. The truth did eventually come out. Mark McGwire admitted to using steroids off and on throughout his MLB career on January 11, 2010. He claimed to only have used steroids for health reasons and for quick recovery, never for strength or size gains. These claims were publicly disputed by McGwire's steroid supplier, who stated that he did, in fact, use steroids to gain a competitive edge. As a result of pressure from Congress, baseball and the Major League Baseball Players Association started applying stricter regulations and applied a zero tolerance policy in correspondence to performance-enhancing drugs. On August 1, 2005, Palmeiro tested positive for performing enhancing substances and was suspended ten days. Once thought to be a lock for the Baseball Hall of Fame as one of only four players to have both 3,000 hits and 500 home runs, Palmeiro's legacy has now been called into question. Palmeiro's career would quickly plummet as he would be granted free agency following the 2005 season. He hasn't played since. On March 29, 2006, ESPN learned that former Senator, Boston Red Sox board member, and Disney chairman George J. Mitchell would head an investigation into past steroid use by Major League Baseball players, including San Francisco Giants outfielder Barry Bonds. Mitchell was appointed by baseball commissioner Bud Selig in the wake of controversy over the book Game of Shadows, which chronicles alleged extensive use of performance-enhancing drugs, including several different types of steroids and human growth hormones Bonds allegedly had taken. Selig did not refer to Bonds by name in announcing the investigation, and many past and present players will be investigated. Mitchell took on a role similar to that of John Dowd, who investigated Pete Rose's alleged gambling in the late 1980s. However, Selig acknowledged that the book, by way of calling attention to the issue, was in part responsible for the league's decision to commission an independent investigation. A report of the investigation released on December 13, 2007 named more than 80 former and current baseball players. A first positive test resulted in a suspension of 10 games, a second positive test resulted in a suspension of 30 games, the third positive test resulted in a suspension of 60 games, the fourth positive test resulted in a suspension of one full year, and a fifth positive test resulted in a penalty at the commissioner’s discretion. Players were tested at least once per year, with the chance that several players could be tested many did not succeed. This program replaced the previous steroid testing program under which, for example, no player was even suspended in 2004. Under the old policy, which was established in 2002, a first-time offense would only result in treatment for the player, and the player would not be named. In November 2005, MLB owners and players approved even tougher penalties for positive tests than the ones in place during the 2005 season. Under the new rules, a first positive test would result in a 50-game suspension, a second positive test would result in a 100-game suspension, and a third positive test would result in a lifetime suspension from MLB. On March 28, 2014 the players and owners announced that the penalties for a positive test would be increased to an 80-game suspension for a first time offense. Then escalate to an 162-game suspension for the second offense, and a lifetime ban from the sport for the third. Players who are suspended for the season, will not be allowed to participate in the post season. These suspensions do not allow the player to be paid while suspended. This is the strictest policy against doping that the MLB has had. These new penalties are much harsher than the previous ones. The new steroid policy finally brings MLB closer in line with international rules. On March 30, 2006, Bud Selig launched an investigation on the alleged steroid use by players such as Barry Bonds and Gary Sheffield as the weight of books like Game of Shadows emerged. The inquiry into steroids' use in baseball is expected to go back no further than 2002, when the MLB started testing players for performance-enhancing drugs. On January 10, 2013, MLB and the players union reached an agreement to add random, in-season human growth hormone testing and a new test to reveal the use of testosterone. Testing began the 2013 season. In 2013, at least twenty MLB players (and athletes in other sports) were accused of taking HGH. Ultimately 14 were suspended, most famously Ryan Braun of the Milwaukee Brewers (suspended for final 65 games of 2013 season), Alex Rodriguez of the New York Yankees (suspended for 211 games), and Nelson Cruz of the Texas Rangers (50 games). The clinic was run by Anthony “Tony” Bosch in Florida. The notebooks he kept made it clear that he supplied human growth hormones, anabolic steroids, and performance-enhancing drug lozenges to his clients, which not only included professional athletes but teenagers as well. It is worth noting that Bosch is not a doctor  and has a fake medical degree. ↑ Associated Press (February 27, 2003). "Boomer Bombshell". SI.com. ↑ Associated Press (February 14, 2005). "Canseco credits steroids for his career". NBC Sports. MSNBC.com. ↑ Verducci, Tom (June 3, 2002). "Totally Juiced". Sports Illustrated. ↑ "A-Rod admits, regrets use of PEDs". ESPN.com. 2009-02-09. Archived from the original on 11 February 2009. Retrieved 2009-02-09. ↑ "McGwire apologizes to La Russa, Selig". ESPN.com. 2010-01-11. Retrieved 2010-01-11. 1 2 Smith, Robert. "A Different Kind of Performance Enhancer", NPR.org, March 31, 2006. 1 2 Zirin, Dave. "Bonding With the Babe", The Nation, May 8, 2006. 1 2 3 Chafets, Zev. "Let Steroids Into the Hall of Fame", The New York Times, June 19, 2009. 1 2 Aaron, Hank, and Lonnie Wheeler. I Had a Hammer: The Hank Aaron Story, HarperCollins, 1992, p. 268. 1 2 3 "Former pitcher Tom House describes past steroid use", The Associated Press, May 3, 2005. 1 2 3 Chass, Murray. "Schmidt an Open Book on Greenies", The New York Times, February 28, 2006. 1 2 Davidoff, Ken. "A conversation with Goose Gossage", The New York Post, March 1, 2013. ↑ Locy, Toni. "Dale Berra says Stargell, Madlock gave him drugs", Scripps Howard News Service, September 11, 1985. ↑ "Milner says drugs destroyed Pirates", The Associated Press, September 24, 1985. ↑ Assael, Shaun and Peter Keating. Who Knew? ESPN The Magazine. 21 Page 72-80. November 2005. ↑ "A Miami Clinic Supplies Drugs to Sports' Biggest Names". Miami New Times. Retrieved 16 July 2013. ↑ Verducci, Tom (January 11, 2010). "McGwire opens up about steroid admission". Sports Illustrated. ↑ "Mark McGwire's Pep Pills". The New York Times. August 27, 1998. ↑ "McGwire mum on steroids in hearing". CNN Politics. CNN.com. March 17, 2005. ↑ Gonzalez, Alden (January 22, 2010). "Steroid supplier disputes McGwire's motive". MLB.com. 1 2 Passan, Jeff (August 1, 2006). "Palmeiro's shameful end". Yahoo Sports. ↑ Shea, John (March 18, 2005). "He won't say: McGwire deflects panel's questions about steroid use". San Francisco Chronicle. ↑ Wilson, Duff; Schmidt, Michael S. (2007-12-13). "Baseball Braces for Steroid Report From Mitchell". The New York Times. Retrieved 2007-12-13. ↑ Heisler, Sarah (April 2012). "Steroid Regulation In Professional Sports: Sarbanes-Oxley As A Guide". Cardozo Arts & Entertainment Law Journal.